It’s no secret that I’m a control freak (just ask my husband and kids!). And that of course translates down to my quilting style as well. I love precision piecing and take great pride in making my corners match and points show. About a year ago, I started wondering about all this Improv Quilting I’d been hearing about. And what I learned astonished me! I like it! It's fun cutting loose and working with out a plan for a change. That's what I did on the back side of the Green Iced Tea quilt. I picked some fabrics that I thought would look good together, but not necessarily "go" together - both prints and solids. Then I cut wedges (long strips that are tapered on one end). I sewed them altogether and sliced that apart. I inserted another wedge and voila! A quilt appeared! I challenged myself to not really think about it too much as I went along. That is when the improv part falls apart for me - when I start thinking! For me it works best when I let loose, go with the flow and trust my eyes to tell me I'm doing it right! It really is a fun exercise if you're a control freak. It's good to learn a new style of quilting to have in your repertoire of skills. You never know when you might need it! Detail of the back of Green Iced Tea. It should have a name of its own, it's so nice. 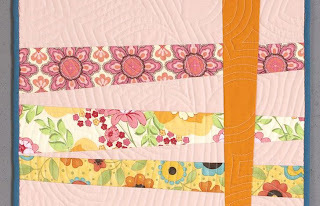 Go to Deb's blog to see the whole quilt! There are not enough kind words to say everything about today’s guest, Deb Rowden. She was the editor of my first book, Grapefruit Juice and Sugar, and I learned almost everything I know about book publishing from her. 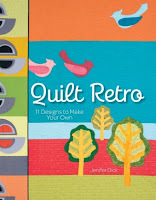 I was thrilled when she was able to edit Quilt Retro as well. Her insight and guidance is always spot on! Thanks Deb! She is an author as well and produces one of the most interesting blogs in quilting: Deb Rowden of Deb Rowden’s Thrift Shop Quilts. 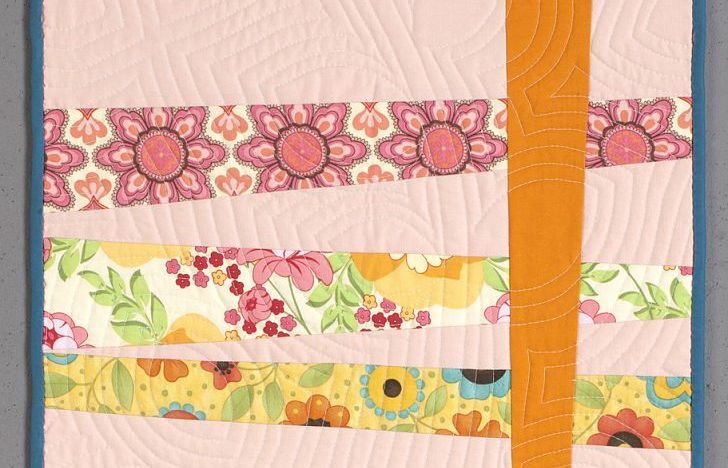 She shares her extensive knowledge of quilting history along with her antique quilt collection she’s amassed over the years. And these are not the boring, perfect, show-quality quilts, these are the workhorses and quirky quilts (dare I say improv?!) that make you wonder just what the quiltmaker was thinking! It’s always entertaining there. Monday 10/10: Jacquie Gering of Tallgrass Prairie Studios. i like your pieced backing! looks so good, i'll try doing this myself. thanx for sharing! 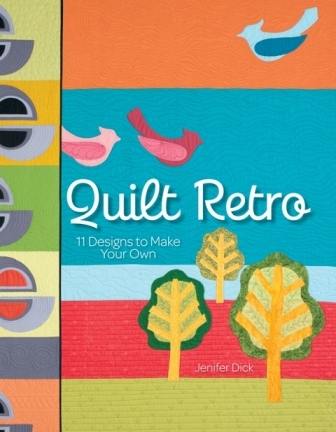 Just stopped by to say that I'm enjoying your book blog tour and learning about the quilts. The pieced backing on Green Tea is wonderful.